The English Pale Ale has been a long lasting and inspirational style for brewers; it gave birth to the IPA that is loved by many. But with everything, the pale ale has evolved over the years. The idea of a pale ale was changed in 1979 when Ken Grossman launched Sierra Nevada Brewing Company and redefined what a pale ale was, using American Cascade hops to create the iconic Sierra Nevada Pale. Since that day, Sierra Nevada Pale has been a principle example of the American pale for brewers. Many have created their own take on the balanced yet hoppy beauty of the pale and succeeded. Now there is a different turn in the craft industry, one that harkens back to the origins of brewing. This old world trend focuses on brewing different beers throughout the year that play to the ever changing seasons. This philosophy has given birth to the pFriem Autumn Pale. This beer has been based around generations of pales throughout the world, yet plays to the season for which it is named. Its golden bronze color pays homage to the changing of the season’s colors. Its slightly higher alcohol strength prepares us for the stronger winter beers that are near. Its bountiful fruitiness embraces the late summer harvest. Hop forward and round, the Autumn Pale has a little zing that brings light to the shortening days. Golden base with a touch of bronze, topped with creamy white foam. Vibrant aromas of lavender and peach fuzz. Juicy flavors of tangerine, nectarine, and smooth sorbet. Finishes round with a kiwi zing. 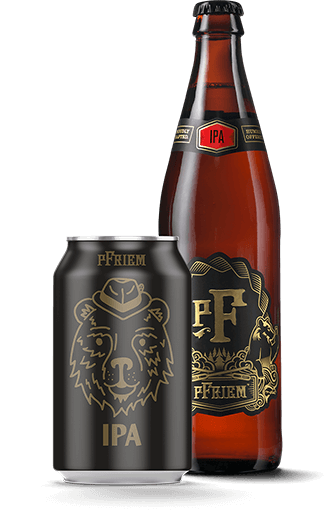 The explosive hop character of the pFriem Autumn Pale would be best paired with spicy or savory dishes.